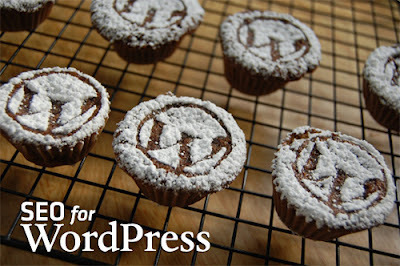 I love WordPress, and maybe you too. WordPress makes me easy to optimize my blog to appear at the top of the search results. If I say about optimization of this post then this process may take much time on any other blog platform but in case I prefer WordPress, then it will take much less time because I can customize many elements of SEO on page optimization easily. Thus saving my blogging time. You can access it by going to the dashboard, click on settings and then select General. There you can write the title of your blog. Be sure to include your keywords there. Setting your permalinks to SEO Friendly. By default WordPress permalinks are http://blogname/?p=123. You can change it by accessing the Settings and click on permalinks. Choosing the type of permalinks that lets you enter keywords. I like to choose [postname]. Another thing I like about WordPress is choosing theme from a large number of options. You can choose as per your choice either free of paid as many themes are getting uploaded daily. I like the theme of simple and fast loading time like Swift. OR in other words theme which comes with built-in SEO settings and which is SEO friendly. By using post excerpt you can avoid duplicate content. Duplicate content not only be assessed from outside the site, on the site as well. In addition to the show post excerpts you also cut anchor text (internal linking) to text Read More. Few themes offers Post Excerpts by default. By using SEO plugins such as All in SEO Pack or WordPress SEO, you can make the google spiders to index your posts focus. I do not like to involve much less post category tags, as risky because of the duplicate content problem internal blog. And I do not download copy and paste the writing of others. Ok, actually WordPress is very good for SEO, a lot of advantages. However, it will all be useless if you do not understand basic SEO techniques. That means you need to optimize it further, such as entering a keyword and off page optimization. Hopefully it was helpful for you. Author Bio: This guest post is written by Yogesh Vashist who writes about technology updates, blogging tips, SEO etc on www.newaboutindia.com.